What could you do with $150 billion? Our board member, Jared Bernstein, speculated in a recent blog here on the options for the US government to intervene to stave off recession. Even as we speak, George Bush is urging Congress to pass a $150 billion economic stimulus package that would, among other things, generate tax rebates for an estimated 117 million US consumers. The question this begs is whether the average consumer will go out and spend that money to its intended effect; i.e. to pump those dollars back into the economy via the purchase of goods and services. In this related blog at the Wall Street Journal, consumers are indicating that they’re cutting back on discretionary spending in order to be better prepared for potential workforce cutbacks. What’s your plan? 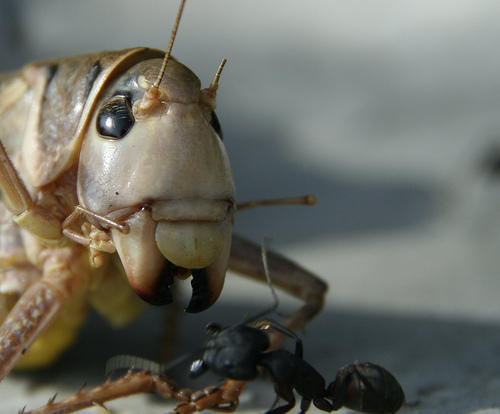 Remember the fable of the ant and the grasshopper? Do you blow your rebate on a big screen TV or tuck it away in a CD? I’ll take my rebate and sign it over to the campaign chest for the presidentlal candidate whom I’d like to see in the White House.